Sunday 28th April – PUT IT IN YOUR CALENDARS! 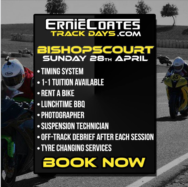 Ernie Coates is running another 3 massive track days at Bishopscourt this year! 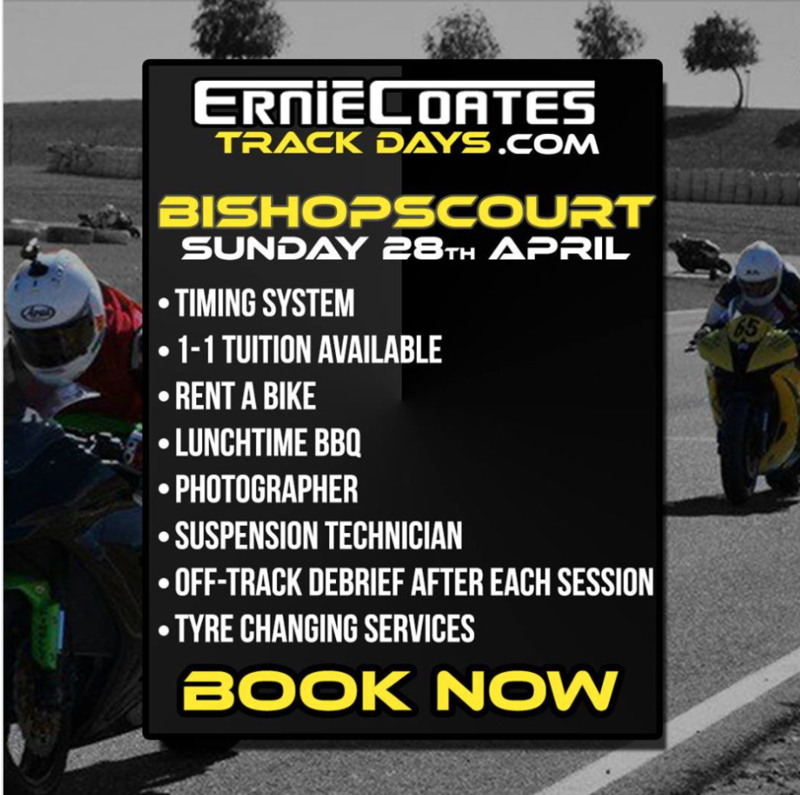 Lunchtime BBQ, Timing Systems, Bike Rental, Suspension Technician & much more!